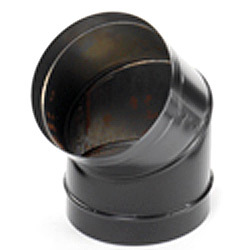 DirectVent Pro 4" x 6"
DirectVent Pro 5" x 8"
This high-quality, 24-ga stovepipe features strong spot welded seams. Manufactured by M&G Duravent, It is guaranteed to go perfect with your Dura-Tech or Dura-Plus Chimney. 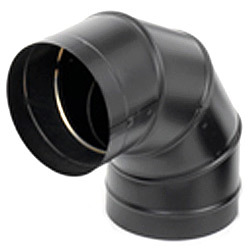 **Single wall stove pipe or any "stovepipe" is intended for interior use between the appliance and the wall or ceiling only. 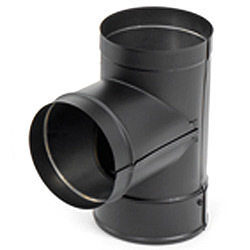 "Chimney pipe" must be used with proper components to pass through a wall or ceiling, and from that point out. ** Single wall stove pipe requires at least 18" clearance to combustibles for all single wall stovepipe. This measurement could be more or less depending on the appliance. The appliance manufacturers installation instructions should always be followed. Click Here for the Dura-black Product catalog with Specifications and elbow offset chart. 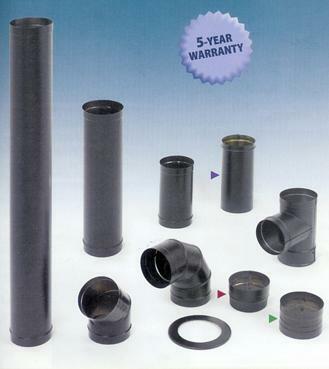 "CHIMNEY PIPE, STOVEPIPE, CHIMNEY LINER LARGE ORDER FREE SHIPPING OVER $150"